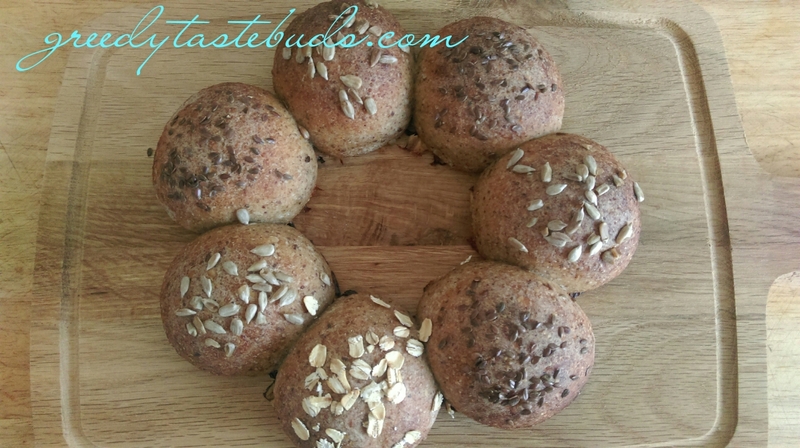 After weeks and weeks of playing with various bread recipes it’s time for rolls! 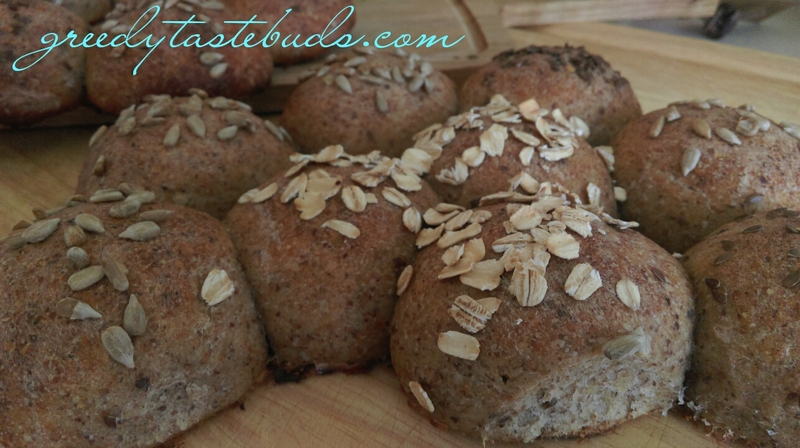 These are super-simple (do I ever make anything complicated?…hmmm) and very quick compared to sourdough breads. They are made with wild yeast only and the one thing you do need to plan ahead is your pre-ferment, and yes, that is assuming you already have a beautiful rye starter sitting in your fridge. If not, here is my well-tested recipe. The rolls take anywhere from 2,5 h to 4,5 h to make depending on the ambient temperature in your kitchen. Combine all ingredients mixing well to remove any lumps. Cover with plastic wrap and set aside on a counter top for 12 h. When ready to use the mix should be foamy and full of bubbles. Prepare two tins or baking dishes – line with baking paper and butter both the bottom and the sides. I used round cake tins, but square oven-proof dishes would also work. 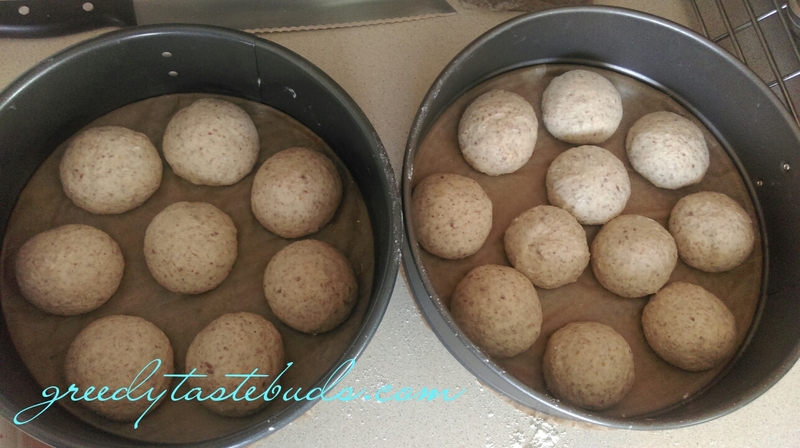 Place all ingredients in a mixer bowl and “knead” using dough attachment until well combined and smooth, for about 1 min (this can also be done by hand, I was lazy!). Cover the bowl with plastic wrap and set aside for 1-2 h, until it doubles in volume. Uncover the dough and briefly knead again, then remove onto a well floured counter top. 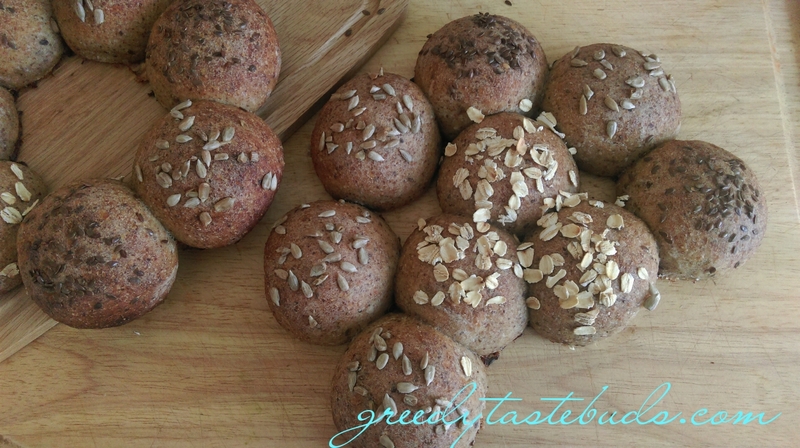 Form small rolls, each 65 g (2.3 oz). Arrange the rolls in baking tins closely next to each other and once again cover with plastic wrap. After 1-2 h they should be puffy and their edges touching. At this stage you can brush them with a mixture of egg and milk and sprinkle with favourite seeds. Bake in an oven preheated to 450 F for 15 mins, then lower the temperature to 400 F and bake for another 15-20 mins. Allow to cool on a rack for at least 30 mins. Enjoy!